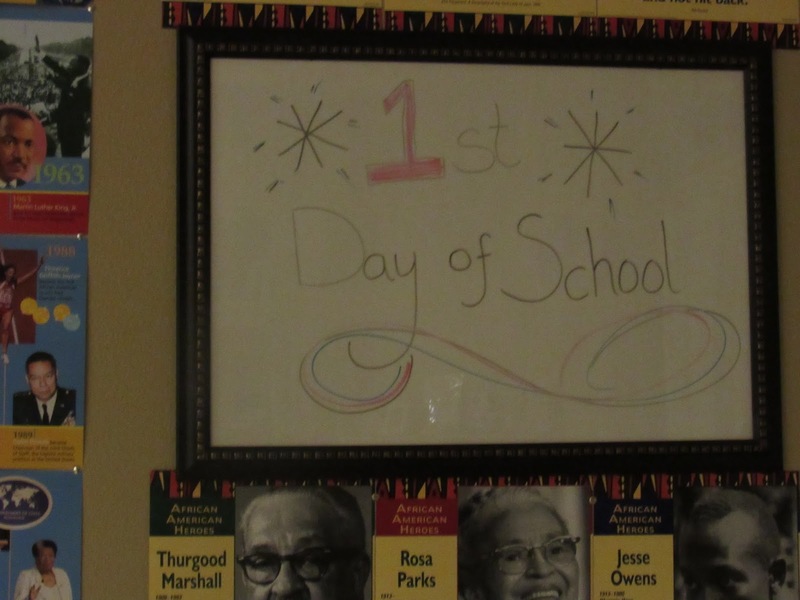 Today was our first day of school!! I read these home school blogs where moms get up at 6 am have devotion time, make breakfast and start school all before 8 am. I admire those women and their ability to adult, let alone parent before the break of dawn but I am not that person. So this is my schedule with the kids. I wake up carefully around 7:00 and try not to wake the AJ who sleeps with me to make nursing easier for us both. 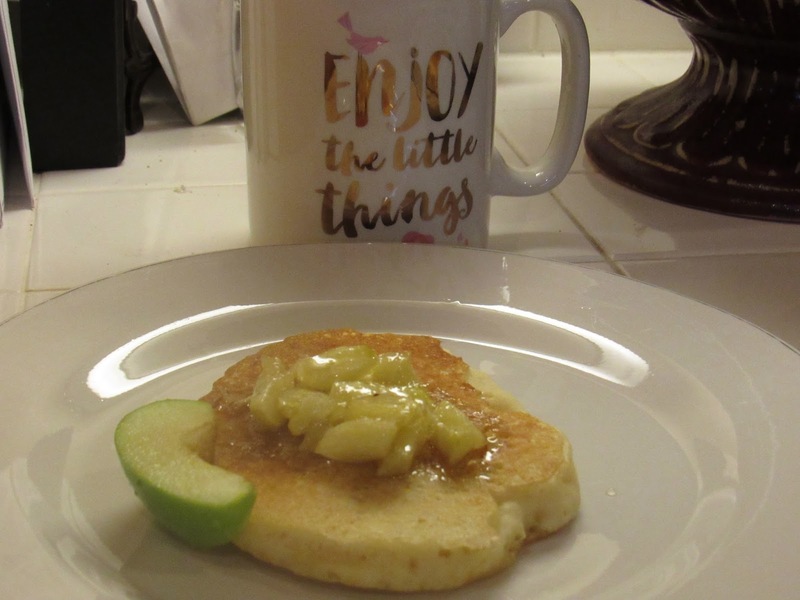 Once I successfully pry myself from my bed (I am not a morning person) I go into the kitchen, make my coffee and start breakfast (today I made pancakes with caramelized apples). By this time both SJ and KJ are up and on my heels. I feed them breakfast, talk to them about their dreams and whatever else the little people may come up with. I then send them outside to play. I love sending them outside to play! They need the fresh air, imaginary, adventures and mommy needs some quiet time. Did I mention I am not a morning person. Well once they are in the groove of playing I finally get some quiet time with God, its about 7:45 now. I read the Bible, pray and I may read a devotion or book. 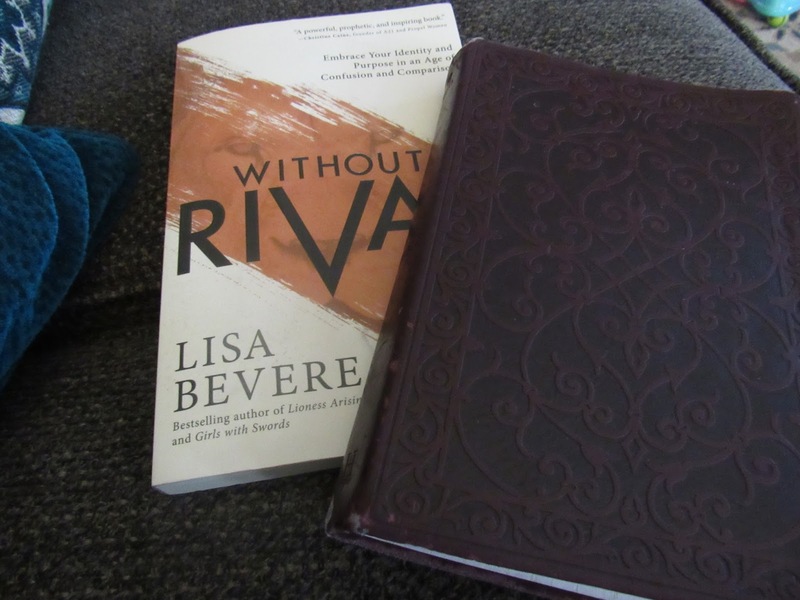 Right now I am reading Rival by Lisa Bevere so far I love it. I call them in at 8:45 to get their beds made by now the baby is up so its okay if they are loud. At 9:00 am school starts. We start with reading, geography, have a quick break then do math, science and history. Here is a look at our classroom. This is one is the has the order of the day. At the bottom a string with clothespins hold their favorite pieces of work. It can be anything they are proud but they can only choose two I file away the rest of the work. 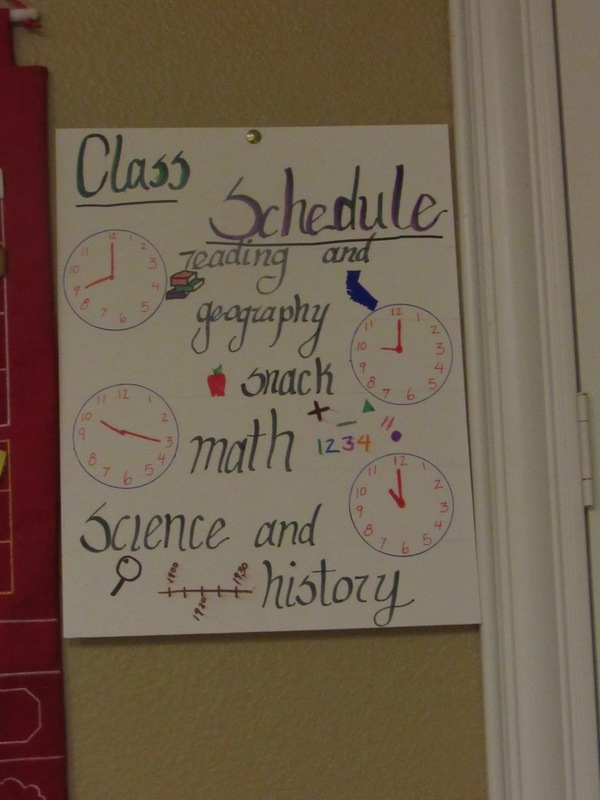 SJ loves math and can tell time so she loved that I used clocks for our schedule during breakfast and throughout the day she made it a point to tell me what time each activity should start. She is also learning to read so the combination of the two is proving fruitful. 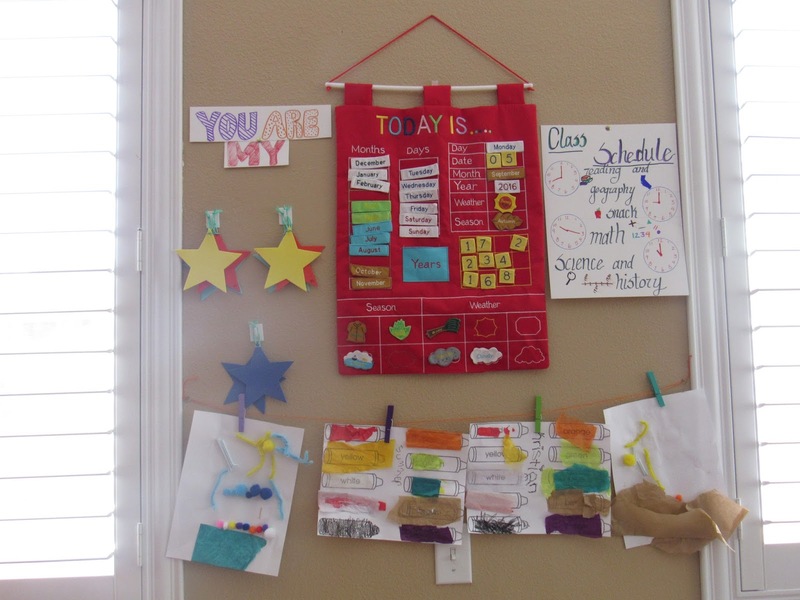 On the left side of the “Today Is…” chart are our super stars! Each star has the kids names on it and represents a subject we are going through. We have one for reading, math, science, history and geography. The last two subjects share a star. 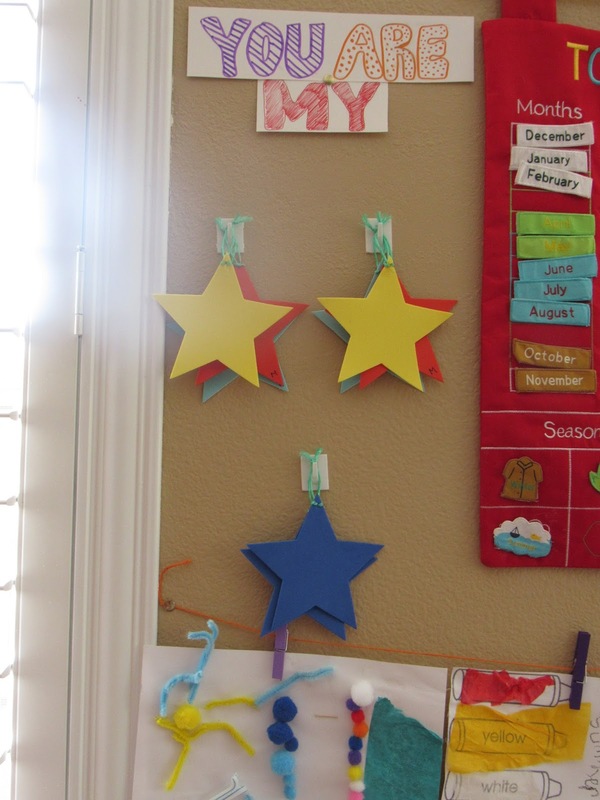 As the day goes on and we complete each subject the kids get to put a hang their star up. SJ is on the left, KJ is on the right. The kids love this because it helps them keep track of whats left to do for the day. They also are both very competitive so this way they work hard to get a star rather than to best the other. 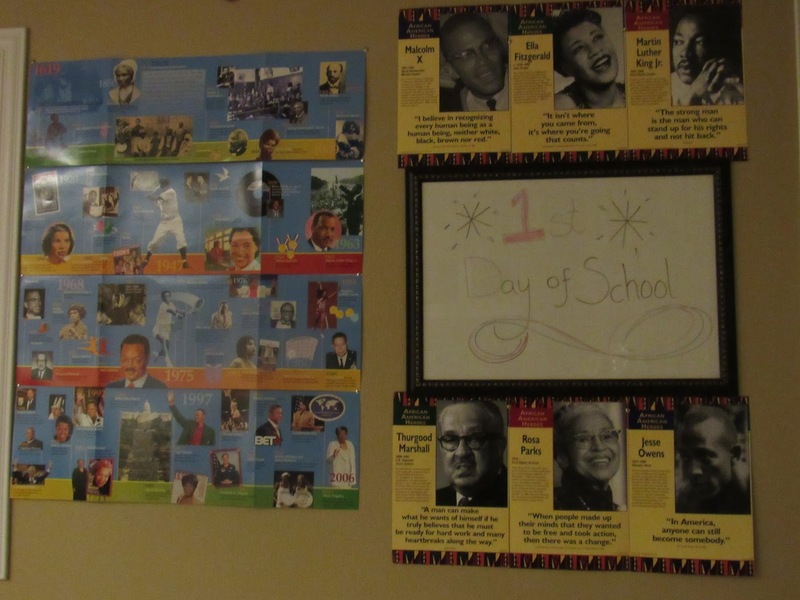 I wanted their classroom to be filled with historical pictures of people who look like them. They have had so much fun asking me questions about the various heroes on the wall and are inadvertently learning history in the process. I got both the posters and the timeline from School Specialty. 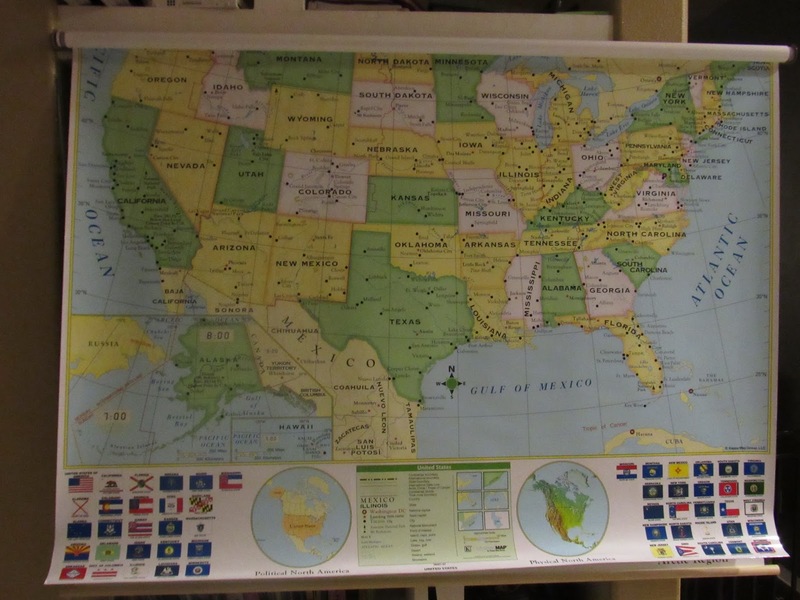 I have a state and world map in my classroom (it was remounted after this picture to be flush with the wall). The kids loved hearing the story of how we came to live in California since we have gone through some other states. They also got to make their own flag today and tell me about their made up state which they thought was really fun. My map covers this bookshelf which houses all our homeschool stuff. I need to get more baskets so it could be a little more organized but the kids know where everything is. 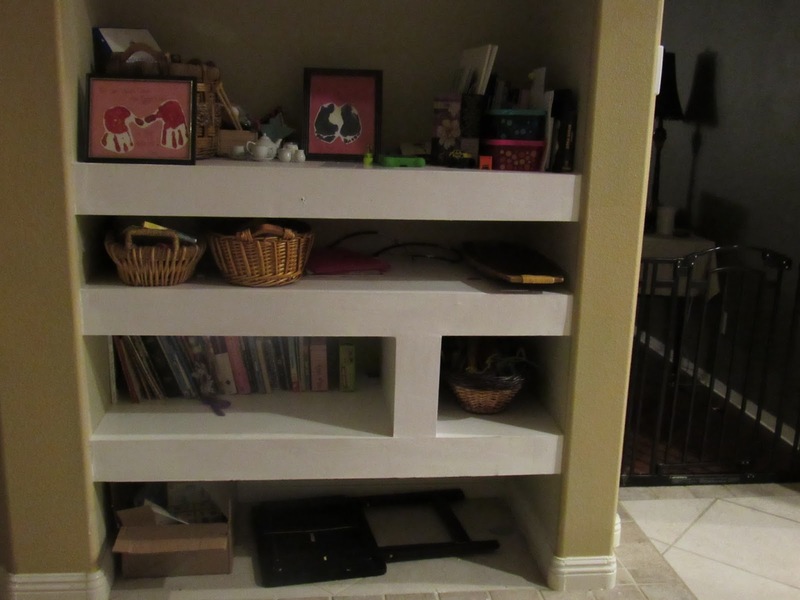 The kids can access all but the top shelf any time they want. If they don’t want to play outside they can play games in the classroom. The last station is the math station. 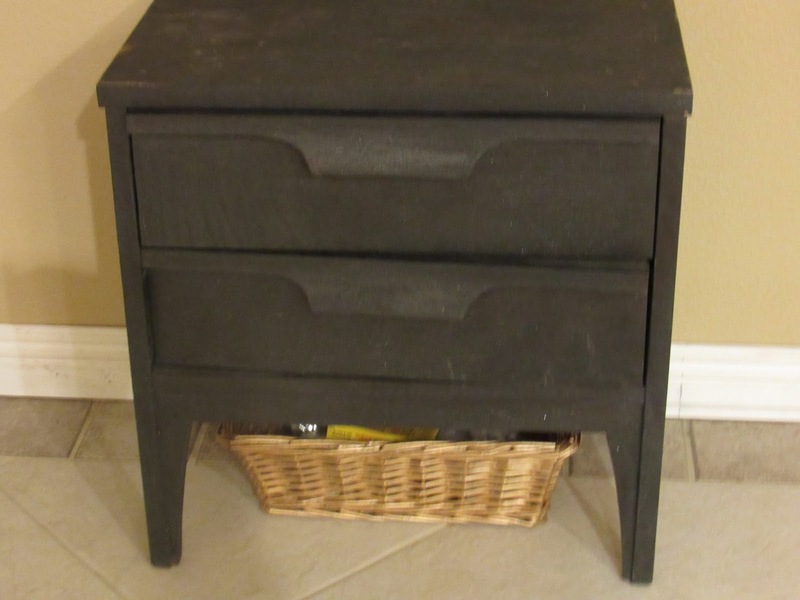 I have base ten blocks in the top drawer and the bottom drawer is where I store their work books. The basket below it houses a math card game, the clothespins from the previous post you can read about them here, flashcards and puzzles. All this and I forgot to take pictures of the kids on their first day! I guess we will have to take second day of school pictures tomorrow. I LOVE to cook. I had some peaches that were on their way to being bad and decided to make a dessert out of them. 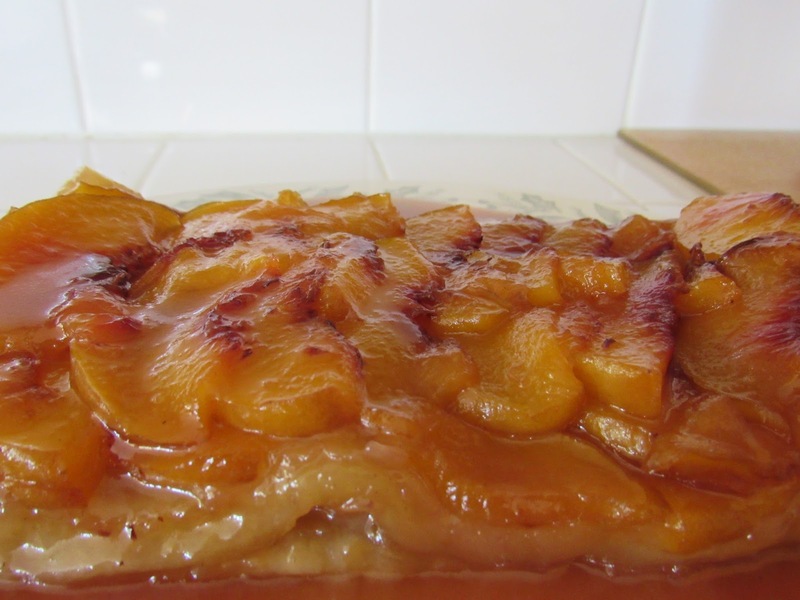 I call this Caramelized Peach Puff Pastry. Cover the bottom of a hard bottom pot with an even layer of sugar and let it sit over medium heat. (Watch the pot refined sugar takes about 8 minutes to 15 start to brown, raw sugar takes between 5 and 10 minutes.) At this time warm the coconut milk. Once the edges start to darken stir until you the sugar is liquefied. Cover you pan with parchment paper I used a bread loaf pan. I had left over peaches after the first layer so I placed more preaches (no caramel) then another cold sheet of puff pastry. It cooked at 400 degrees for 20 min and it was amazing! I didn’t serve it right away and it had quite a bit of juice from the peaches so as it sat and soaked up the juice it tasted like a dumpling from peach cobbler. Another thing that contributed to the dumpling like texture was me letting the pastry get to warm before cooking. If you worry about this just pop the pastry back in the freezer for 5 to 10 minutes it should be thawed but cold. Please share any alterations you make if you try this recipe at home. As I perfect it I will update it here.